Psychiatric Orgonetherapy—as developed by Dr. Wilhelm Reich, a disciple of Freud’s—is a valuable tool in the hands of mental health professionals. It is a complete and scientifically documented psychotherapeutic technique, that effectively treats psychiatric and psychosomatic (biopathic) disorders, without necessarily resorting to psychoactive pharmaceuticals. It is based on the technique of character analysis and on biophysical work, i.e. on the processing of muscular tension and muscular rigidities in the body, which bind and suppress the emotions, thereby preventing the experiencing, realization, expression and the cathartic release of these emotions. The four-year basic training program consists of classes and seminars, as well as a monthly clinical seminar with case presentations, part of the continuing education of our program. The prospecting student’s final approval to the training program, also requires a personal interview. The seminar is taught by psychiatrist and medical orgonomist Dr. Nasos Teopoulos, member of the Greek Psychiatric Society, trained in the psychotherapeutic technique of Orgonetherapy at the American College of Orgonomy, of which he was a clinical associate until 2011, and was part of the Training Program for Medical Orgonomy of the same College (1997-2011). 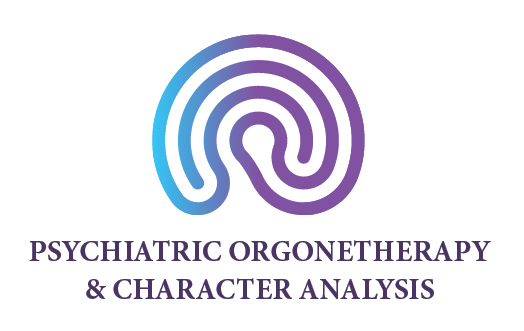 Cornerstone of the training program is the trainee’s personal therapy and the establishment of a relatively healthy biopsychic structure through psychiatric orgone therapy and adequate characteranalytic restructuring. Starting with the 2019-2020 academic year the program will expand to include English-speaking candidates, through simultaneous translation and teaching material in English. For more information regarding the program, please contact us at seminar@wilhelmreich.gr or call at +30-210-760-9080.